If you’d like to actually create a haven in your home, here are some powerful secrets on how to do it! If you look closely enough around my home, you’ll find plenty of evidence of my good intentions. I wanted to label all my family’s photos from the past 10 years, but they’re all haphazardly piled into a big plastic tub in a hall closet. I know I should organize my children’s art projects from the past five years, but they’re all piled into a box in my basement. And I’d like to preserve fresh veggies through canning and vacuum sealing, but my canning jars are filled with leftovers in the fridge and my vacuum sealer is still packaged in the box, untouched. For all of the things I’ve intended to attempt – quilting, playing the piano for fun, starting flowers, herbs and vegetables from seed – I just haven’t. Everyday life has crept in and taken my time away from casual hobbies or less-than-urgent home projects. Turning your best intentions into completed projects isn’t easy. As much as you may have good intentions, they’ll only stay good intentions unless you actually act on them. That action depends a lot on finding motivation. How in the world can you manage, in the middle of life’s busyness and pull, to put your good intentions to work? How can you actually do things around your home? Besides majoring in the majors, another approach works like a wonder – not just in homemaking, but in every area of life. But first, consider your own home. What projects have you wanted to do – but are stalled? What are you waiting and wanting to do? When it comes to creating a haven in your home, what would you like to do … but haven’t gotten around to yet? 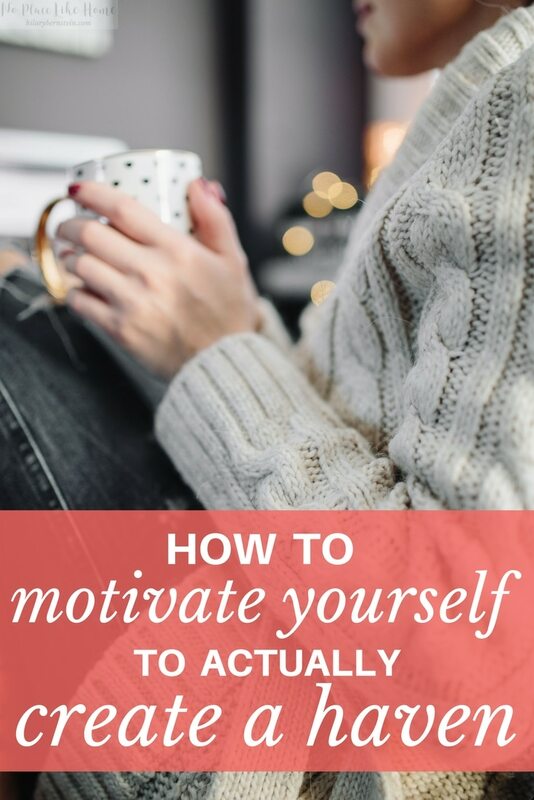 The secret to actually getting things done is not only found in motivation, but it also has everything to do with setting goals. Set a deadline to accomplish your goals. Once you’ve considered your goals, written them down, and set a deadline, then it’s time to start meeting those goals. That process includes finding time to do the work and actually working toward your goal. Think about how you’d like your haven to look. Think about how you’d like it to smell. Think about what things you’d like to feel in your haven. Think about the kinds of taste that make you think of a haven. Think about the kinds of sounds that would make a haven for you. Use your senses to figure out what you need to do. Write down what you’d like to change or add to your home. What are the things that could make it more of a haven? What could you do right away? What would you like to work on? Set deadlines. Beside every single goal on your list, decide when you’d like to complete your goal. 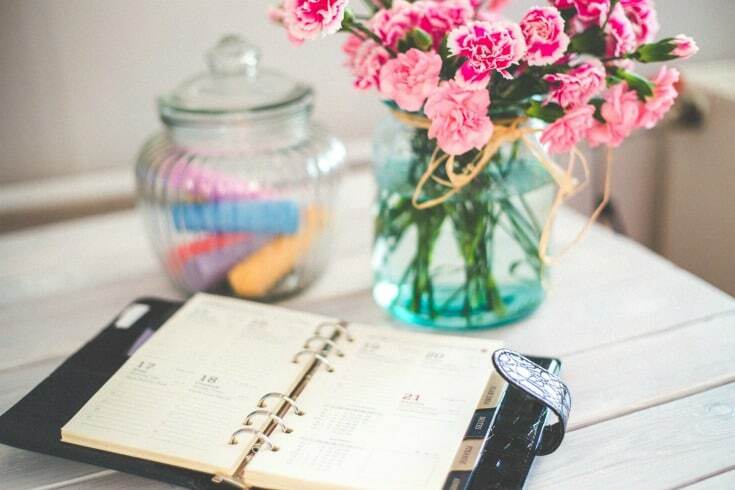 Write down the date, then get busy meeting those goals. Once you meet your goals, celebrate. (I have a feeling that as your home becomes more and more of a haven, which will be celebration enough!) Then keep working at your other goals. When you finally meet all of these goals you’ve written down, start setting others to work on. Make sure you appreciate your success, but also keep setting goals to keep you motivated. By setting goals and working diligently to accomplish them – and remembering to major in the majors – your good intentions will become good accomplishments! And you’ll actually create a haven in the process. 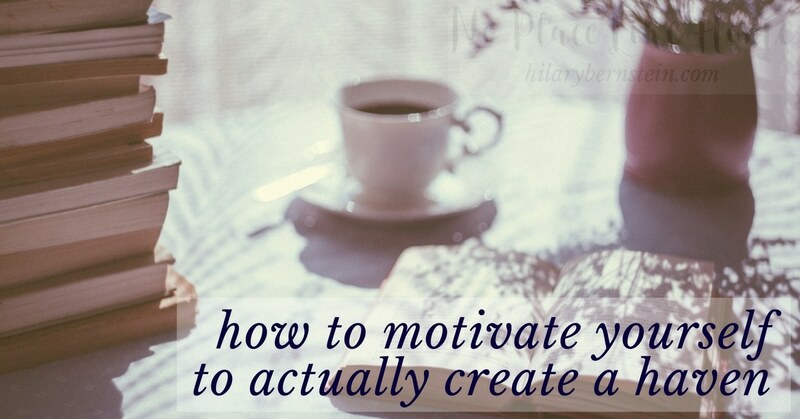 What helps you actually create a haven? What tricks and tips can you share? Exhausted from fighting the good fight. Oh, Jan. I will pray for you! I can understand your hesitancy to let go of the history in your boxes. I’ll pray for peace and strength for you.